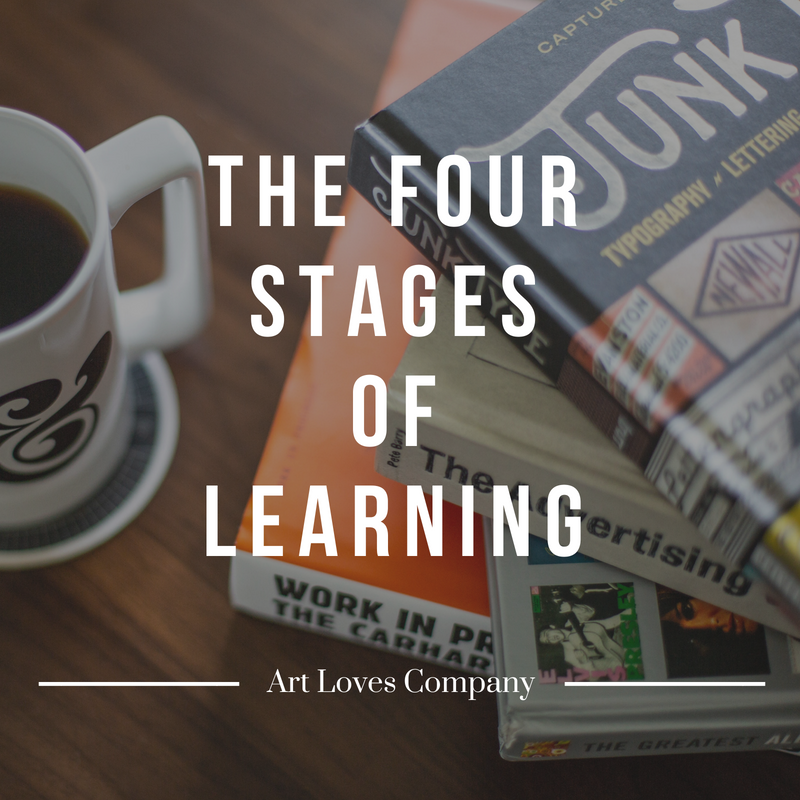 There are four stages of learning. The first stage is Unconscious Incompetence. This is when you are unaware of the mistakes you are making. Stage two is Conscious Incompetence, when you become aware or have been made aware of what you have been doing wrong. The third stage is Conscious Competence, when you can now execute the action correctly, but it takes concentration and mental energy to do so. The final stage is Unconscious Competence. Here is where you can execute the action automatically, as it has been deeply rooted within you. In order to move up this ladder, you must practice this action over and over again, as each time you repeat it, that neural pathway gets coated with myelin. Keep coating the pathway to reach the fourth stage. But don't practice bad habits as they can be stored in the unconscious as well. Whatever you are striving to gain efficiency in or master, it is important to be aware that you are on this ladder to begin with. Being aware that you are unconsciously incompetent is a glorious thing. It means you are on the path. I usually reach conscious competence in a lot of things but I continuously strive, never ending...that is the great feature of our human kind, we are deeply programmed to survive and strive. Never ending. Never give up even if you have lapsed for any amount of time. Become efficient and then a master, and then a teacher. I must add that my personal journey in music has been a long and strenuous one. I recently have let it sink in that I am on a path towards unconscious competence playing the violin. It is so necessary to get to this stage because it is very hard to perform for people if you are still using up all of your mental energy trying to get through the piece. You can practice over and over again, a thousand times by yourself, but it is different when you must play in front of even just one person. This idea is also the same for studying any subject and then being tested. If you only learn the material enough to get through it, you may not have enough mental energy left to perform well when tested. You must learn the material deeply so that you can free up space needed to control the pressure of recalling information for a test or when performing. Which is why not only comprehension but deep memorization is also another great method of achieving unconscious competence. Or is memorization a by-product of practicing/studying so much? I recently put myself to the test. I've heard that perhaps doing something one thousand times will earn you mastery over that skill. I cut that number down quite a bit for my experiment. Working on Bach Partita No. 3 in e major, the Preludio. I played the first five or six lines with a goal of a hundred times. I marked each time as a tally on notebook paper I kept nearby. By the time I played the passage 50 times, I had the section memorized. These types of self studies and experiments are very beneficial to me because it puts an actual workable number to the energy that I am putting toward something. Instead of what feels like a countless, endless amount of practice, I know that around 50 times playing a section, I will have it memorized. This gives me confidence, hope and the energy I need to play it another 50 times. I know that my work in not in vain. My whole time studying violin, then my very long lapse in playing due to my mother's sickness and then passing, I never really knew how to measure my practicing. Now I know, now I can measure exactly where I am on this ladder to mastery. The violin is a very intimidating instrument, and so are it's players but that is something I just have to get over. The competitive nature of the string world is something that will have you stop playing because you feel like you are not as great as another. But forget that, play because the strings resonate with your soul and being. Play because it is the only way you know how to sing. Play because you love the melodies and the harmonies. Do not get caught up in the madness. In whatever you do, do it as if you are the only one left on the planet and this is how you are choosing to spend your time. Do not think you cannot master something because you have not mastered it before 20 or 25 years of age, or 30 or 35, or any age. Do not compare yourself to the prodigies. Do not compare yourself to the greats. Just focus, measure your practice, emulate, listen, record and try not to give up. It's very hard! But that's the great thing about playing the violin and working on other skills that are not easily mastered, not that many people are doing it in the grand scheme. I am not worried about being the best, being world famous, playing for kings and queens. I just love to sing through my strings. That is all. Much love and blessings to you. Peace and productivity to all.